Q: I am interested in your answers on calcium. I’ve had back trouble for several years and just had my 3rd back surgery. After my bone density test, my doctor prescribed 1200 mg. of calcium + Vit. D and also at the same time Evista, 60 mg. once a day. And your article leaves me WONDERING!! Didn’t say anything about milk, but when I was having babies, my doctor said if he had his way, children wouldn’t have any milk AFTER they were weaned from the mother. At THAT time, I thought HE was strange! Maybe not. A: Thanks for taking the time to share your story with me. The bottom line about calcium is that if we find the reason why our bones leak calcium, and stop the cause, we don’t need large amounts. I take only 500 mg a day and have reversed my bone loss by 20% with my program. In other words, calcium is a “patch”, like telling a person with a hemorrhage to have daily blood transfusions. And it is true, since we are not calves, we should not drink cow’s milk. It’s completely unnatural and detrimental to our health. To make matters worse, the dairy industry is what creates the very cruel veal industry, since in order to produce milk, cows must have babies at all times. I’d like to know which organic calcium is recommended. Are there any with Vit. D in it. Also, I cannot find CoQ10 in 50 mgs. in my spine and neck and often cause headaches. I have come across a website that is promoting calcium aspartate anhydrous. The material states that the absorption rate is 92% and because it is more stable, most of the absorption will take place in the small intestine. They also cite studies that it stimulates osteoblasts and that bone density has increased in 3 months. The website also states that it is safe and there are no adverse reactions to it. Have you heard of calcium aspartate anhydrous? If so, what are your thoughts on this. You said early in your program that you reduced your bone loss, I believe in one year, by 20%. Since you have been on your own program for longer than a year, has your bone loss reduced any more? It has recently been suggested by several endocrenologists that I take “Forteo” for my osteoporosis. That’s not an option for me. Since I’m on a very restricted eating program, I’m curious to find out how effective your program would be for me since the combination of foods seems to be the key to your program. I would like to know if I gave you the “legal” foods that I can eat what % of your program would I be able to follow to get the best results. I will wait to hear from you before I give you my list of “legal” foods. I look forward to hearing from you. with your sense of humor I am really enjoying my osteoporosis with laughter. I am still totally confused as to what to do. Difficult to figure out when your on cumiden. Marilia, the best calcium is organic rather than synthetic or made in a lab. There are a few companies that offer organic calcium tablets and capsules. Many are derived from an algae that grows in South America. The next best alternative is amino-acid chelated calcium. And lastly, calcium citrated is an option as well. what do you think of the calcium chews taht have D & K –just noticed it is calcium carbonate…is that what is in TUMS? I’d appreciate your recommendation, if any, a supplement for calcium and Vitamin D, that wouldn’t have a negative effect, but a positive effect. My goal is to stop any further bone loss, naturally. What about takikng a supplement from bovine animal collostrum? What about the supplement collostrum from cows? A few months ago, Vivian recommended a supplier for Ubiquinol, which I can no longer reference. Now that I’m about finished my first bottle of this supplement (50 mg, 150 Softgels, best quality), am hoping to get the same thing at a better price. Well, people, aren’t we all in a mess??? What we didn’t know growing up, has wreaked havoc in our bodies. Part of my down fall to osteoporosis was taking seizure meds for decades then a steroid inhaler for a few, when all I needed to do to stop my asthma and allergies was to stop drinking milk. I was allergic to casein in it, but do you think my allergist ever had me do a food allergy test? Now I am off all meds, watching labels carefully for milk ingredients,am eating the alkaline foods, and turning to the foods with the most healing power, God’s own, reliable medicine, dark leafy greens,sprouts, finding the teas and herbs that are wonderful for bone regrowth,I am stopping the meat, and dead cooked food that has no enzymes,and am doing the T-Tapp exercise system (T-Tapp.com)which generates bone growth, mini trampoline, walking, and research, research, research! Hippocrates Institute advocate said, “you can beat this, but you must be very diligent”. Find out the foods best for it, alkaline foods are a huge key, and never look back. Also get help from Vivian as well as others. NEVER stop exercising. Sedentary life is a real no no! !Good luck to us all! Thank-you and Happy Strong Bones New Year to all. Please tell us how to pull up your personal-care page, where you suggest types of Shower filters, shampoos etc. I am unable to get this info. I certainly have learned a lot and I’m not taking Boniva anymore. I do have osteoporosis speeded up by alot of cortisone I was on last year, because of ulcerative colitis. I’m off it now and hopefully will never have to have it again. I have had 5 thoracic fractures since and a cracked sternum, alot of pain. Having ulcerative colitis is a double whammer because I’m not absorbing food like other people. I’m trying to do it naturally, with exercise, supplements, etc. Any advice because the pain of fracturing is horrible. Anything else I can do? Open to answers!! I was diagnosed with osteoporosis 4 years ago. it seems that every women in my family has osteo in our hips. i went on medication for 4 years and my bone density tests have only showed a decline in bone. starting in sept of this year, i have been on an 80-20 diet per your insttuctions from your book. So far so good, i started taking a little calcium and the vitamins you suggested. My next bone density test will be in Sept of 2010. Time will tell, but I am adaptly quite nicely to this diet. thank you very much for all of your suggestions. Vivien, I have stopped taking the Fosomax, and have been trying to eat the way you have stated in your book. I feel much better, but I cannot take Calium supplements. I got so constipated I could harldy stand it. I too them with magnesium, and all the other things you suggest, and it just isn’t possible for me to do. 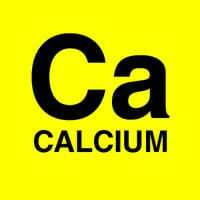 There is something that my body cannot tolerate in calcium. What can I do in foods that will give me the calcium that I need? Thanks for your help. I meant to say, I also take coQ10 without soybean oil or soy lecithin. It can be found. And I’ve read that Asians, who don’t have the same bone density as we do, they have smaller bones and have less problems with them. The thought is: they drink a lot of green tea during the day. I do too. Not the teabags we have on our shelves, but I brew organic green sencha using wonderful dark green leaves. They sell it in Whole Foods stores or on-line. Good luck to us. I too have researched osteoporosis. I take a drug that’s terrible on the bones. I’ll soon be off it. Meanwhile, my Dr. gave me a script for Actonel which I took, and suffered the worst stomach problems. Heartburn, gerd, awful. I stopped the Actonel and after a time the stomach problems went away. Thankfully. I’m waiting for the book to arrive. There is a way to take calcium citrate and magnesium citrate and D3 for better absorption. We can only absorb 500 mgs of calcium at a time. Thus calcium has to be taken in divided doses 5 hours apart. First, take magnesium citrate, 500 mgs. Wait two hours then start the calcium and D3 together, no magnesium with them. After 5 hours have elapsed, take another dose of calcium and D3. We aren’t getting enough D3. It’s best to get your blood tested to see where you stand on D. Some people are out in the sun and still don’t absorb D. Get the test, find out where you stand on D. Its very important to know. Any vitamin or mineral pills, packaged foods which has added soybean oil, or soy lecithin should be avoided. They process soybeans to get the oil or the lecithin with hexane (a derivative of petroleum oil). Also, all the pesticides used while growing the soy will be in the oil and soy lecithin. 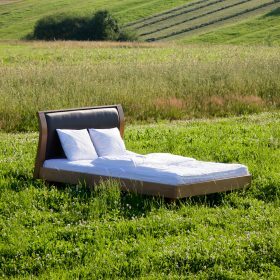 It is not organic by any means. Other vitamins to have during the day, is foods rich in K1 and K2, vegetables and fermented cheeses are a good source. Vitamin C helps with absorption of calcium and having enough phosphorus in your diet. Vitamin C also needs to be taken in divided doses because its water soluable and goes through us quickly. While I wait for the book to arrive the above measures that I’m doing is keeping me without fractures or weak. It’s so annoying to have to time taking pills, but so far, very worth it. I look forward to reading Vivian’s book, if there is more to do, I’m willing to do it. I liked whatyou wrote. Which foods are Alkaline? I took the osteoporosis drugs, then out of fear the FORTEO injections for 18 mo, noton anythingas of last 3 weeks. I want ot build back bone mass & not break any bones. I will cehck the exercise program you mentioned. I do have lower back pain where I have osteoporosis in the lower spine & lkeft femur. Suggestions? I am 30 years old and as a result of a car accident last month, I have 4 compression fractures in my thoracic spine and a collapsed vertebrae at T-6. My doctor did a bone scan and I have osteoporosis. I started taking calcium plus D supplements and my doctor wants me to take Actonel. After coming across this website, I do not want to take Actonel but am scared to have osteoporosis so young. I don’t know where to start and am terrified of becoming deformed. Please let me know if there is any advice. thanks. ps people stop worrying about calcium – you get plenty and don’t need to add more unless you drink coffee and soft drinks that is. Enzyme supplementation will allow calcium from the body to be assimilated. Check out http://www.thedoctorwithin.com – chapters – enzymes to find out – it wont cost any money whereas everyone else wants some of your cash! Dr. prescribed Actonel…I run 3 miles daily, take 1800 mg calcium, 400mg magnesium, 15mg zinc daily. I don’t want to take Actonel… any suggestions? I took one Actonel 150mg pill one time. I had almost all of the side effects. I was unable to walk for a week. Before I took the Actonel I was in the gym three times a week. I also walked 4-7 miles three times a week. 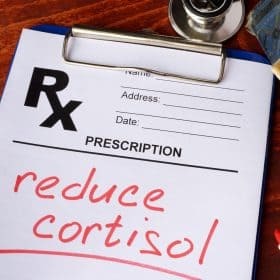 It’s been almost 4 months since taking the “POISON” and I am just now beginning to start an exercise program as I was in so much muscle and joint pain from the Actonel. I am still having muscle and joint pain! I was not aware of the awful side effects. I took the pill on blind faith. PLEASE do not take Actonel!!! If I could join in on a class action law suit against Actonel I would. I did file a report with the FDA. What is your opinion of a relationship between osteo and Hyperparathyroidism? My tests show an elevated calcium. Hello, I have osteoporosis in both hips and legs and osteoarthritis in the spine, hips and legs. I’m taking calcium and vitamin D and have cut out all dairy products in my diet. I can honestly say that since doing this most of the inflammation and tenderness in my lower back, and hips has eased. Also, after reading somewhere that circulation/vibrating exercise machines help strengthen bones I purchased one and use it every day. I just hope it proves to be a positive move for me. I’ll have to wait and see after my next bone scan. Hi, I have a problem with my back since I was hit by a car in January 30,1990 and never healed.. I have sacrolillo joint pelvis problem. Now, Im having an Osterpenia and took Acontel pills for almost 1 1/2 years but its nothing helps. So, I saw TV commerical about Citracal plus Boney Density Builder with Calcium and Vitamin D and plus Genistein. AGAIN, I CAN NOT TRUST THEM. Right now, Im having Muscle Spsam since last week on January 21. I still have very very painful. Dr from Spine and Sport Specialist is out of town until Feb.2 and will give me injection shot on my back again.. My last time was January 17, 2008 for injection shot. Please, helps me I dont like any mediciations. I have a little hole in my heart from mybirth and also vitral valve in heart is weak by Phenmine and Fleuxinwe (misspelling) diet pills. I read ur articles about grapefruit. Oh boy, I will eat one in every morning. It’s my favorite graperfruit. What is about any kind of medicitation to treatmeant for my muscle spsam? Hi, I have had one back surgery,then discovered I had MS. Just had my bone density test> My T-score is -2.4 a decrease of 13.7% from 2 years ago. I believe my medication has something to do with that. I’m 61 do therapy 4 day’s a week, try to eat well, and take alot of calicum, vitamin D,plus other vitamins. My Dr. wants me to do the Reclast but I don’t want to take anymore medicine. I want to stay with more natural remedies, there’s got to be a better way. I did order Vivian’s book. Hi, I have not received my book yet and have only just found this site. I have no idea what to do yet?? I live in Australia so the medications have different names. I am ready lots about Actonel, Boniva and Fosamax, but nothing about Evista and it’s potential side effects. What is there to be said, good or bad, about this drug? I am 49 years old and have severe osteoporosis, especially in my lower spine and hips. I was prescribed Evista and calsium with vitamin D, but when fuinding out from my female pharmacist that she, too, has osteoporosis and will not take Evista (or any of the other drugs either), I quite taking it. I am now taking calcium, vitamin D, some magnesium (as much as my system can tolerate, iproflavone and “Bone UP”, which has several vitamins and minerals in it, incoluding vitamin K, to build new bone. I am confused. If we should not drink milk for calcium or eat dairy products, than what are the best food to eat to build up our calcium allowance with?? Hi Linda, I read your post, really sorry to hear about your problems. I too have a back problem in the same area as you. I had very severe problems when the muscles all would go into spasm which was agony and I could hardly stand, let alone move. Now, at the very first sign that this is happening, I use Ibuprofen Gel (Ibuleve in UK) or a generic brand which I can buy cheaply from supermarket. I rub this all over the lower back area every four hours and it stops the spasm from developing – I hope this works for you. Instead of being laid low for a week or more, it is fine within 24 hours. I am 55 years old and also have severe osteoporosis. I was glad to hear that your pharmacist advised against Evista. My pharmacist also advised me the same about not taking any bisphosonate drugs. Unfortunately I have been taking fosamax for the last 8 years and just discovered recently the truth with my new pharmacist. How much calcium,vitamin D, magnesium and iproflavone are you taking and who makes “Bone Up” and where do you get it? What are you doing for exercise? My naturopath recommended a mini trampoline, as the jumping movement is very good for bones. Good Luck and I hope to hear from you soon.